Editor’s Note: Sponsored by Monday Properties and written by ARLnow.com, Startup Monday is a weekly column that profiles Arlington-based startups and their founders. The Ground Floor, Monday’s office space for young companies in Rosslyn, is now open. The Metro-accessible space features a 5,000-square-foot common area that includes a kitchen, lounge area, collaborative meeting spaces, and a stage for formal presentations. From the Tour de France to the Clarendon Cup, from the Marine Corps Marathon to a local 5K, there’s one thing all races have in common, and one thing Jason Berry wants to replace. 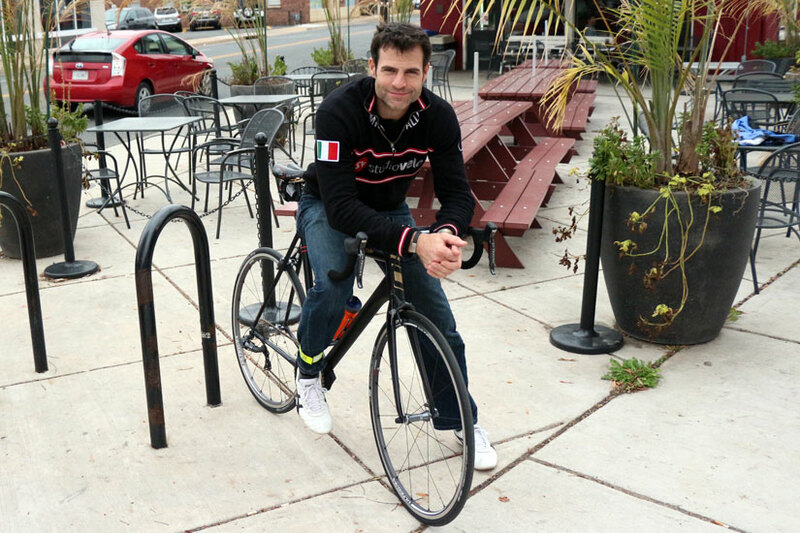 Berry has spent the past 10 years in Arlington making films about cycling — he directed BikeArlington’s documentary BikeSwell, as well as several award-winning documentaries — and has been a competitive cyclist for even longer. He’s poked countless holes in his expensive gear and suffered hundreds of pinpricks when this spring he just snapped. The next day, he raced with cat magnets on his back. Rather than draw insults and mockery, Berry’s impromptu idea was the subject of praise and jealousy. On Nov. 18, Berry officially launched his new venture, Race Dots. 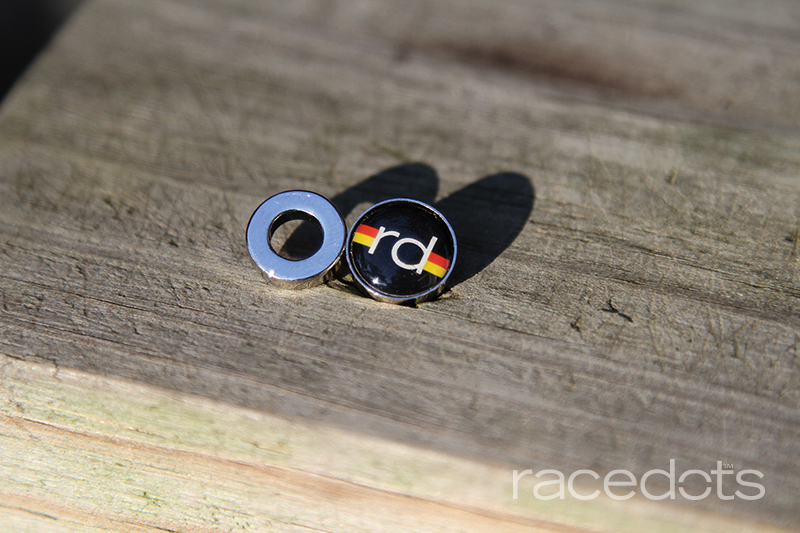 The dots are rare-earth magnets, the strongest permanent magnets available, and have an interlocking design — patent pending — to stay in place on a cyclist or runner’s shirt. The metals required to make the magnets are only available in China, so that’s where they come from; a disappointment to Berry, but worth it. 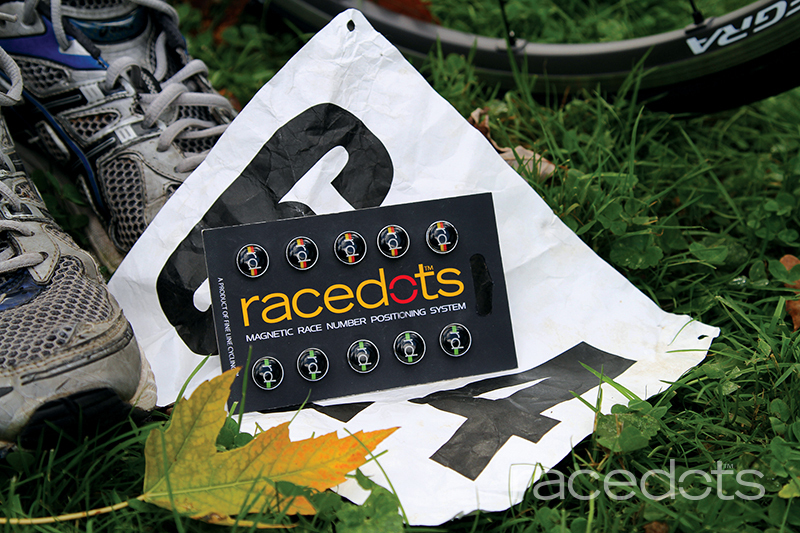 The first time he affixed a racing bib to his shirt with a magnet was just a few months ago, this spring. In June, he started buying magnets from Home Depot, seeing which worked best. None of them did. Some were too small or too weak. Others were strong enough but would break when they snapped together. Berry went through about 15 different prototypes, designing new systems of interlocking sides, new designs for their tops and sending his orders to a manufacturer he found in China. A product launch takes many forms. When your product is made from rare-earth magnets shipped from China — actually shipped in cargo vessels, because the magnets are too powerful to be loaded in large quantities on a plane — buying enough to sell to retailers isn’t practical. So Berry launched a crowdfunding campaign on IndieGogo with a goal of $30,000, exclusively to fund buying materials. Through his contacts in the cycling world, including 17-time Tour de France rider George Hincapie, he was able to drum up some buzz on social media. Within the first hour, he had raised $2,000. In the first 48 hours, he raised $11,000. Within a week, he had reached his goal and raised more than $33,000. The campaign will end at midnight Dec. 26, and, as of this morning, he has raised $53,077. The success of the campaign is one indicator that Berry might be on to something. Another? Berry said that within days of the launch, representatives from Volkswagen reached out to him and asked him for customized Volkswagen Race Dots. Berry turned them down — temporarily — while awaiting the results of the IndieGogo campaign. Although licensing deals could certainly be a revenue stream for Race Dots, Berry has far more ambitious goals. Berry has already mailed a prototype to the Union Cycliste Internationale, the international cycling governing body, for approval in races, which would clear a giant hurdle in the market penetration he hopes to achieve. Eventually, Berry plans on hiring a staff and growing his business, and keeping it all in Arlington. The first steps toward that process are already behind him, but those were the most difficult parts. When asked how he was feeling the night before the campaign launched, Berry — an effervescent, engaging speaker — immediately became emotional. Time will tell if Berry will need to continue to make films to support himself or if Race Dots will take off like he hopes, but either way, the 44 year old is in a place he could never have envisioned when he was working in advertising 20 years ago.